The New York Times’ The Lede. The enormous crowds will be matched by endless torrents of commentary by folks who don’t know the players or the possible outcomes, but who are nevertheless obliged to take their turns in the anchor chairs. Yes the crowds are massive, and Egypt is an ancient country, but what is going to happen if Mubarak decamps, and is it good for Egypt, the U.S. and Israel? 8:46 a.m. EST / 3:46 p.m. Cairo As Egyptian protesters rally in Cairo’s Tahrir Square, in numbers that the New York Times estimate to be in excess of 100,000 and Al Jazeera pegged at one million, it’s still not clear if they will succeed in ousting President Hosni Mubarak and securing legitimate elections. While protesters in Tahrir Square are at their largest numbers yet, and while they enjoy a pledge from the military not to fire on civilians, Mubarak remains in power, his ministries guarded by the heavy-handed internal security forces. Key events to watch today will be whether the protesters push beyond Tahrir Square, what happens with the similar protest movement in Jordan, and whether the maneuvering within Mubarak’s inner circle leads the president toward a quiet departure. President Obama has told the embattled president of Egypt, Hosni Mubarak, that he should not run for another term in elections scheduled for the fall, effectively withdrawing American support for its closest Arab ally, according to American diplomats in Cairo and Washington. State television said that Mr. Mubarak would address the nation Tuesday evening, and it was expected that he would announce that he would not run for another term. But it was far from certain that the concession would placate protesters in the streets of Cairo, who have made the president’s immediate and unconditional resignation a bedrock demand of their movement. If it’s indeed true that Mubarak is announcing that he won’t seek a 6th term — and nobody other than Al Arabiya is reporting that right now [UPDATE: Now Egyptian state TV says it will be a statement, not a speech] — it’s more than a little awkward that U.S. officials have already leaked his decision to the New York Times. Not that I have much sympathy for the old tyrant, but I don’t think the Obama team wants to be seen dictating the course of events. That said, if Mubarak does indeed announce his retirement tonight, you can expect some fingerpointing at Obama for “losing” a key U.S. ally, thanklessly “throwing him under the bus,” and so on. I wonder if the people making that argument will have the courage to spell out what itimplies: They would have preferred to see the Egyptian police and military kill and injure more peaceful demonstrators on the streets of a major Arab capital, on international satellite television, using U.S.-made weapons. Because let’s be honest: that’s what it would have taken for Mubarak to remain in power. His military was refusing to enforce a curfew or fire on protesters; his police had mysteriously fled after brutally attacking them. The morality of this position aside, can you imagine the kind of blowback the United States would face in the Arab world, let alone everywhere else? A million people, maybe more, rallied across Egypt on Tuesday, clamoring for President Hosni Mubarak to give up power, piling pressure on a leader who has towered over Middle East politics for 30 years to make way. As Al Arabiya television reported that the 82-year-old former general was about to broadcast a speech, many believed the moment had come when he would announce his departure. It was not clear whether that might be immediate. Al Arabiya said it had a report he would not run in an election due in September. The powerful, U.S.-supported army watched benignly over the biggest protests Egypt has ever seen and attention was quickly turning to what comes after Mubarak. More military rule, an Islamist surge or a reform-minded coalition for national unity all seem possible. So, too, do both order and chaos. Why else would Mubarak speak today at the apex of the protests, with over a million people in the streets of Cairo? It certainly sounds like some sort of concession, although Mubarak may still think he can hang onto power and survive the crisis. The US apparently doesn’t think so, as it has ordered non-essential personnel out of the country. Where does this leave the United States? 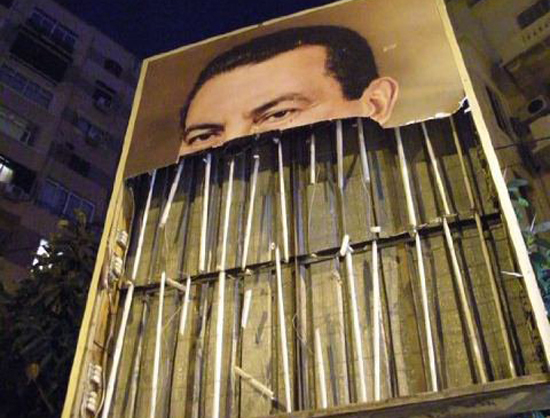 Mubarak’s departure will be the end of the beginning rather than the beginning of the end. As difficult as President Obama may have found crisis management during the last several days, the trickiest part is still to come. Rather than simply observe the crisis, the White House now will have to avoid tripping mines laid by the Brotherhood as it works to undercut Brotherhood attempts to consolidate control.